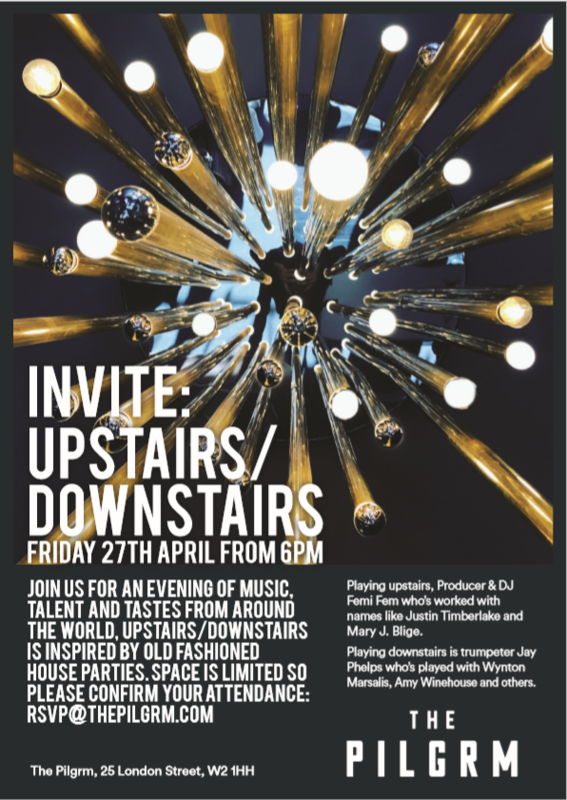 The Pilgrm would very much like to invite you to “Upstairs/ Downstairs” with performances from DJ Femi Fem and trumpeter Jay Phelps Friday 27th April from 6pm at The Pilgrm. Inspired by old fashioned house parties – Upstairs in the lounge, there will be producer and DJ Femi Fem, who has worked with with names like Mary J. Blige, Justin Timberlake and Des’ree. While downstairs will be trumpeter Jay Phelps, who has played names such as Wynton Marsalis, Amy Winehouse and Courtney Pine. 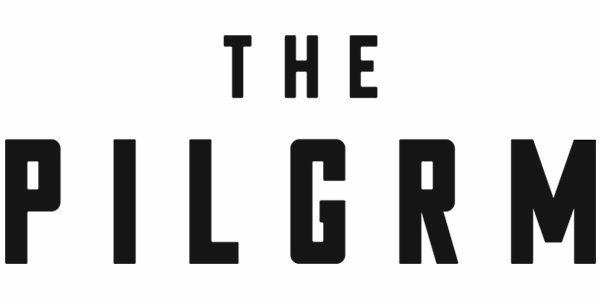 RSVP: rsvp@thepilgrm.com please confirm your attendance, as spaces are extremely limited. The complete invitation is below. Address: The Pilgrm, 25 London Street, London, W2 1HH.